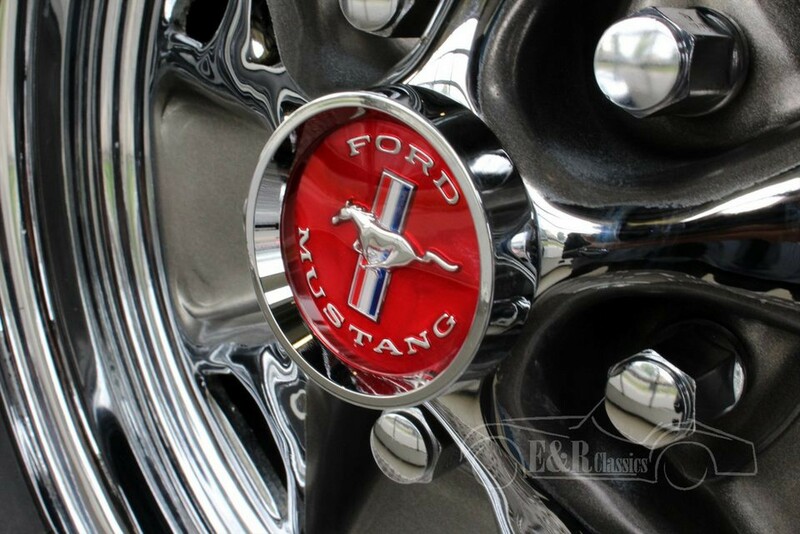 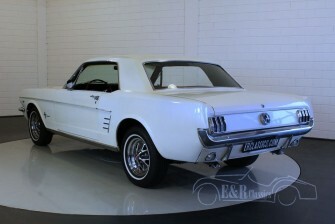 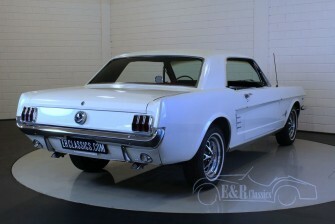 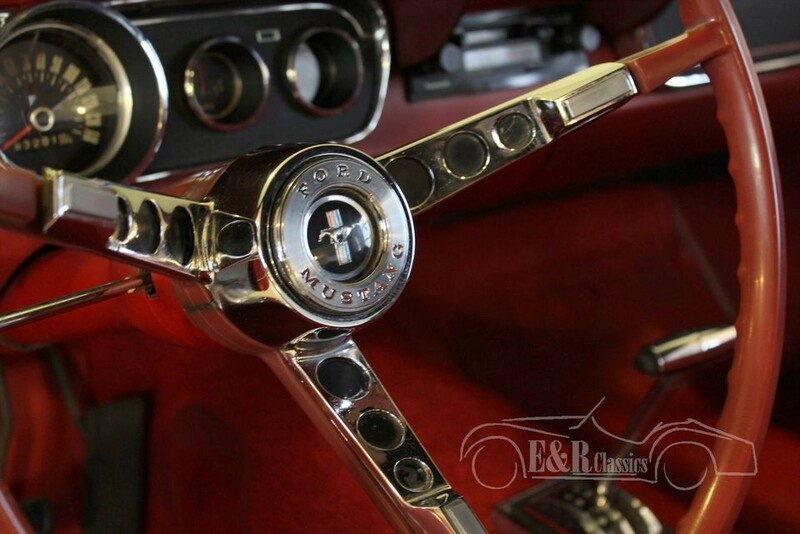 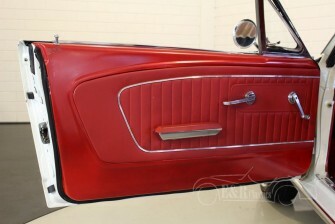 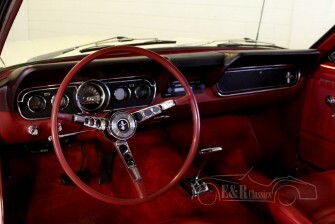 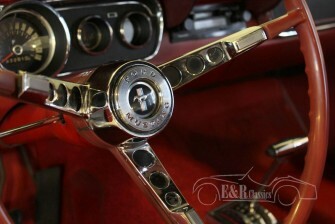 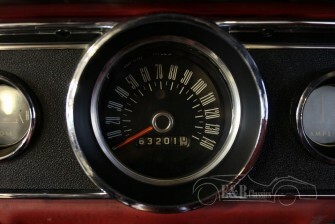 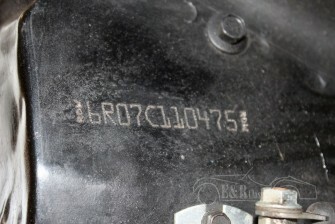 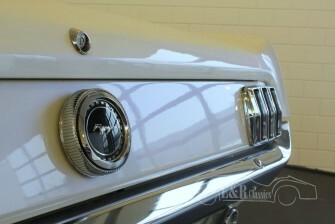 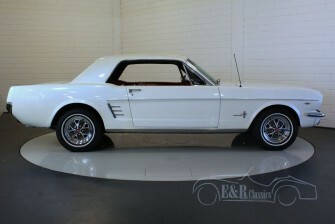 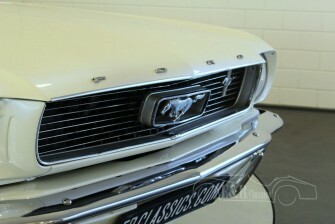 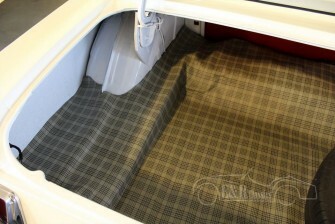 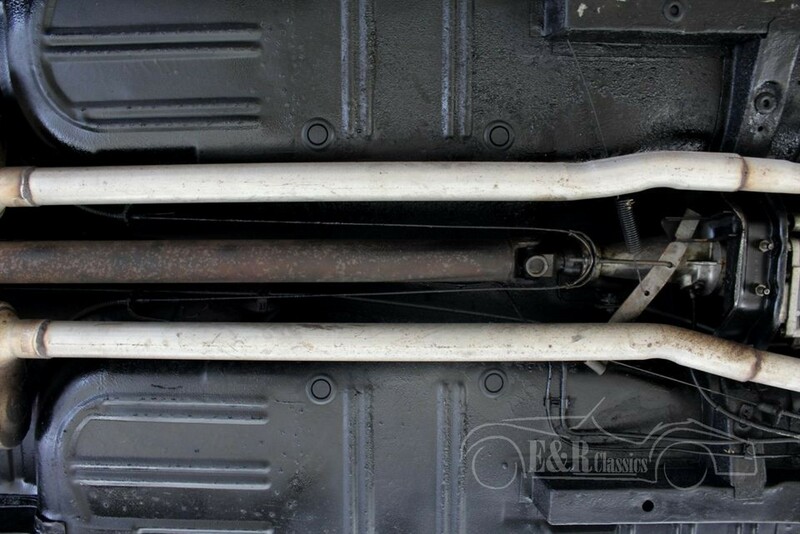 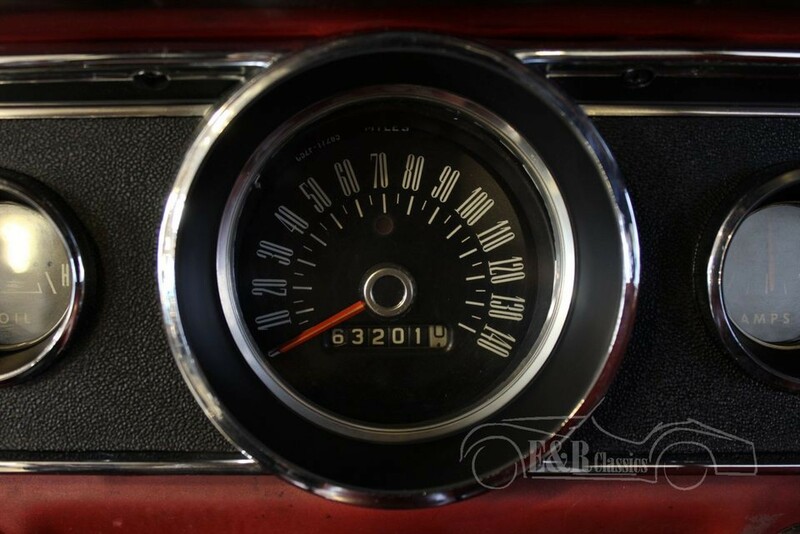 This is a 1965 Ford Mustang. 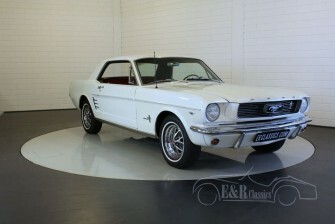 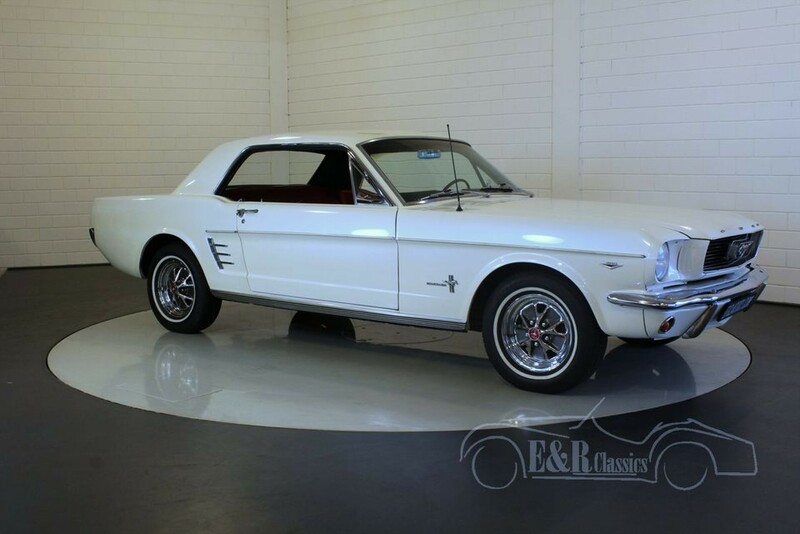 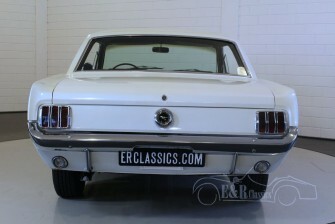 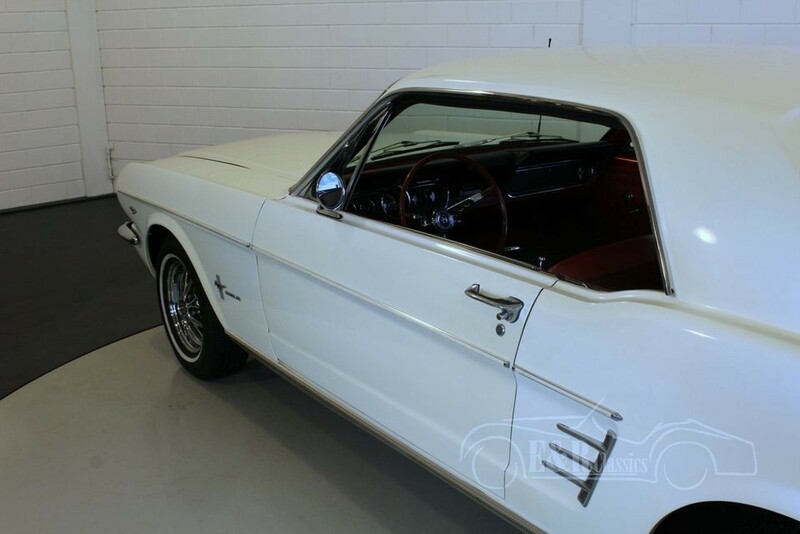 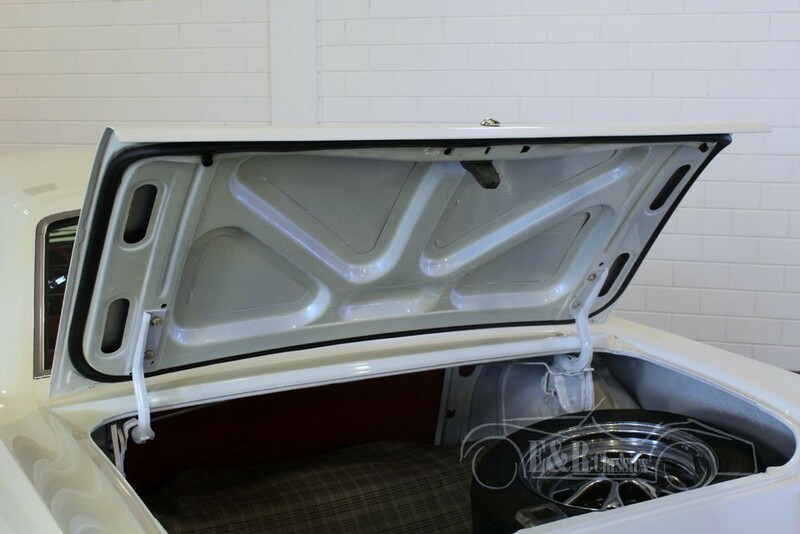 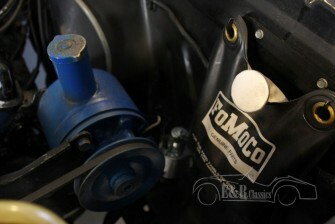 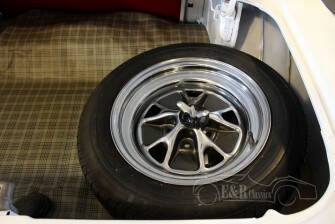 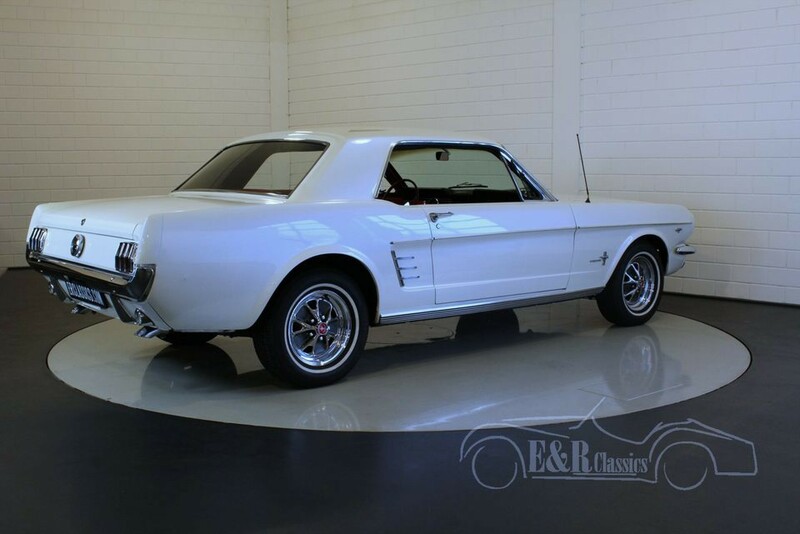 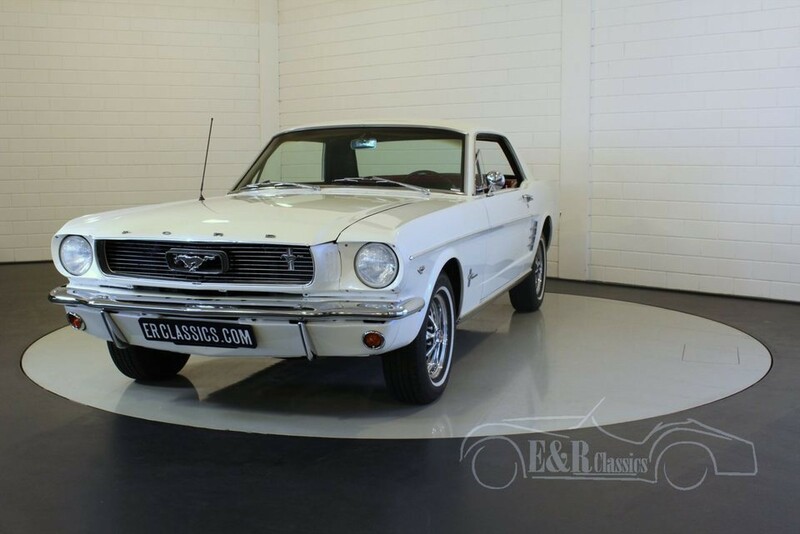 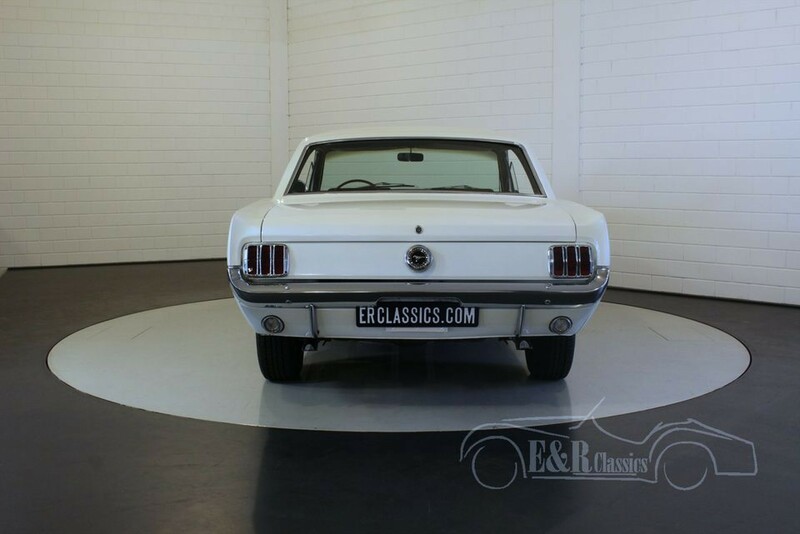 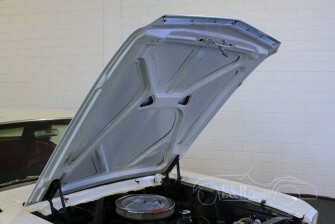 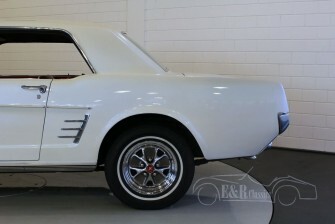 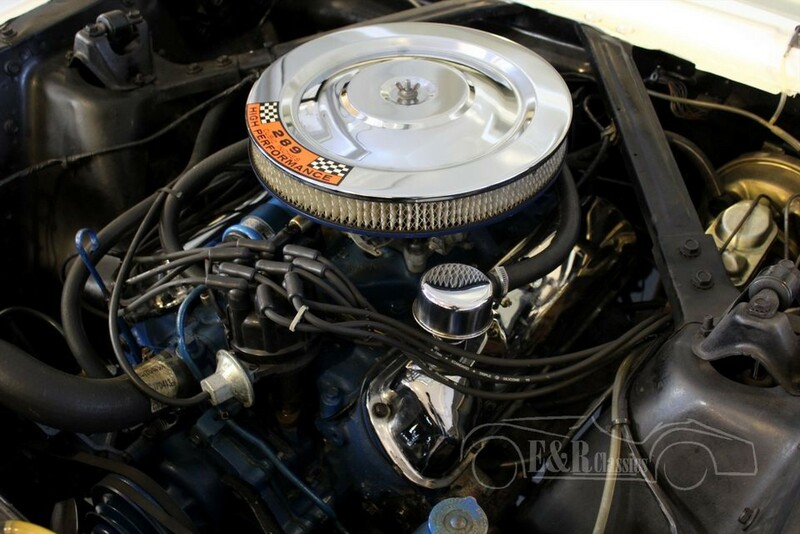 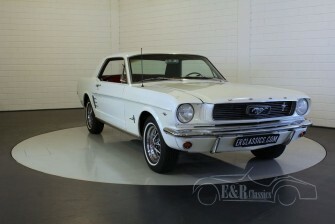 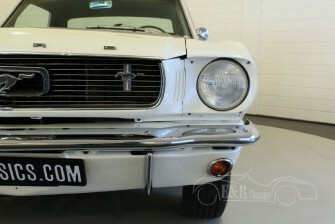 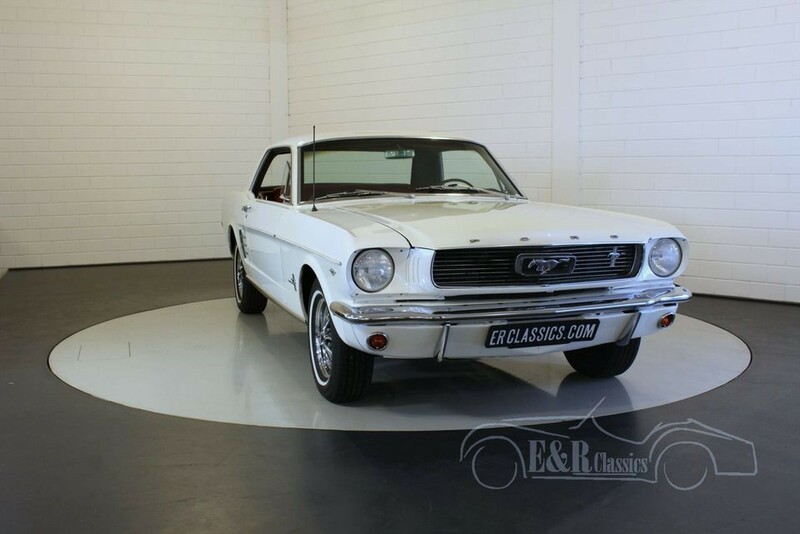 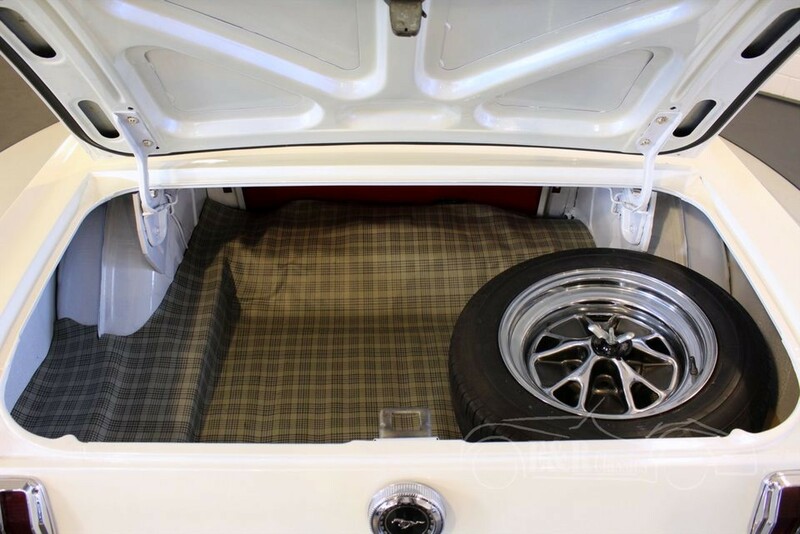 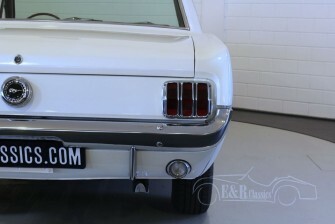 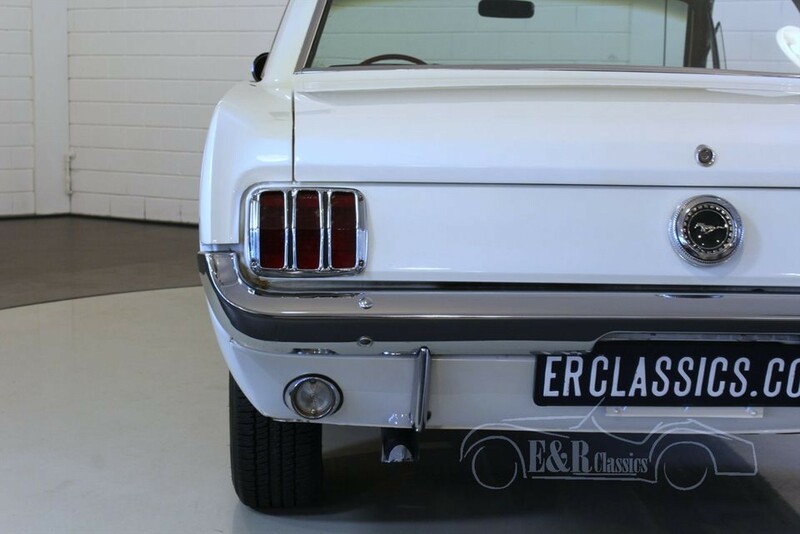 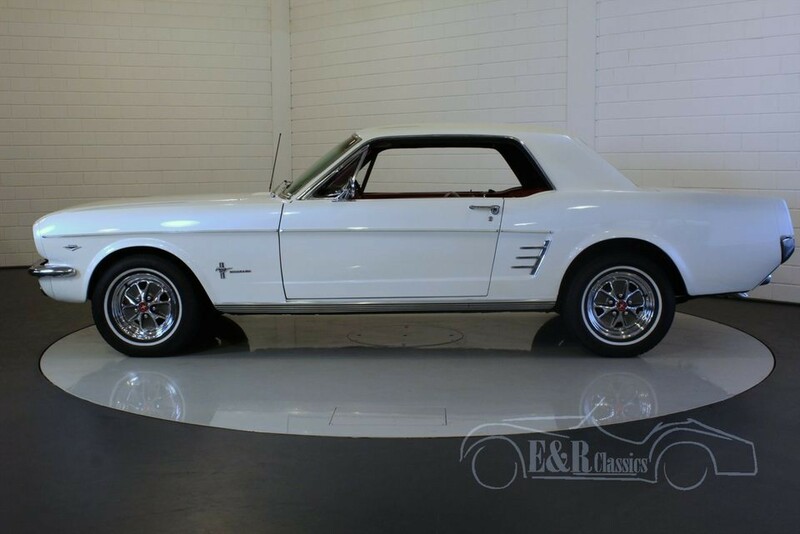 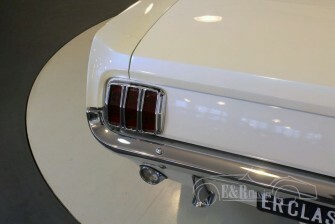 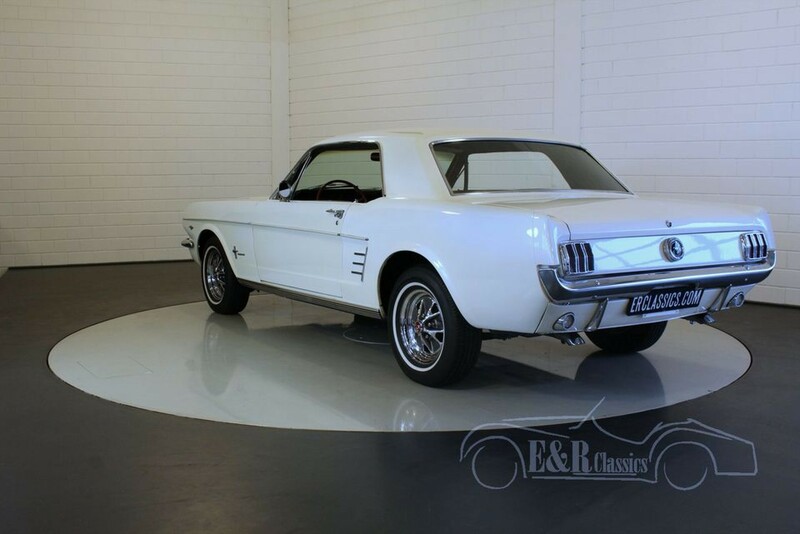 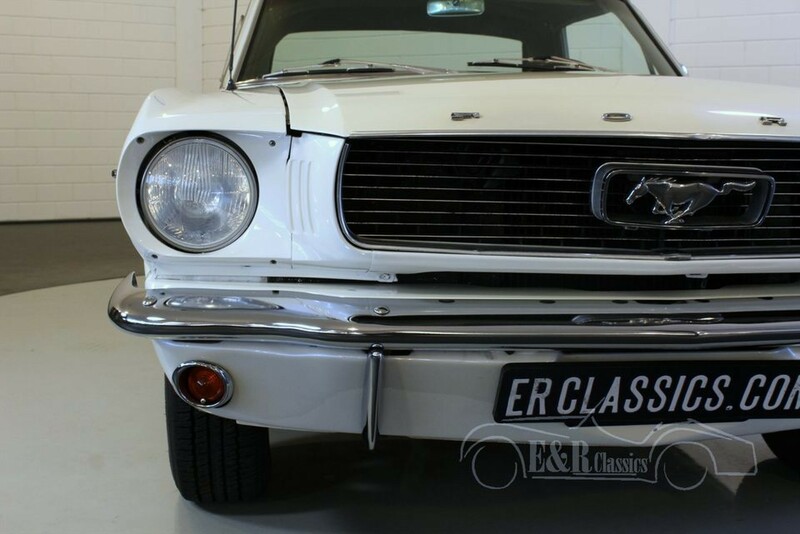 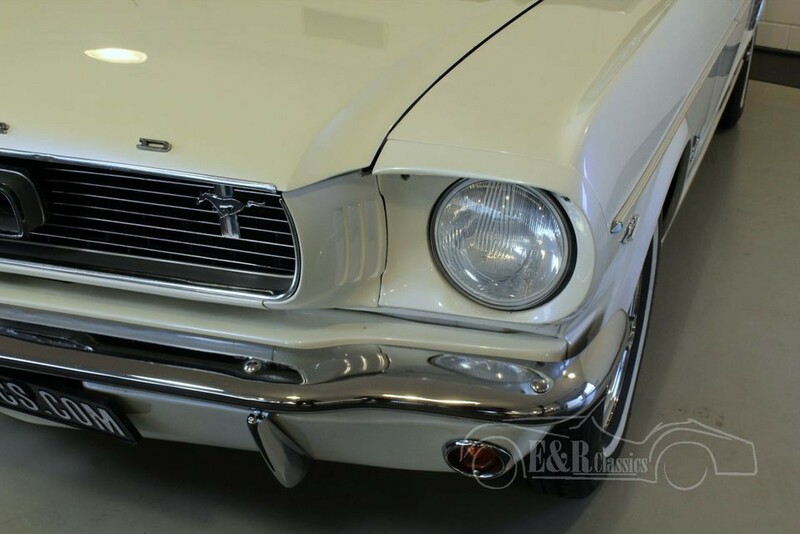 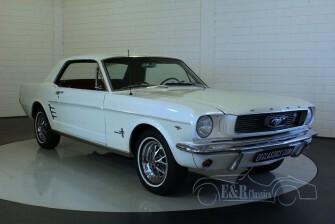 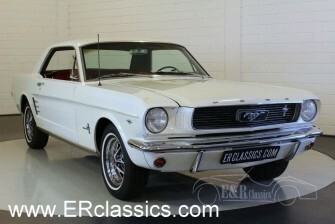 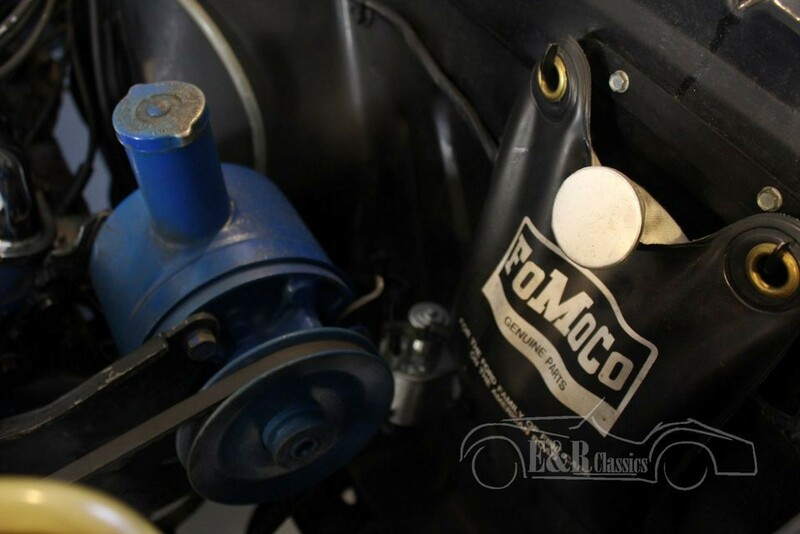 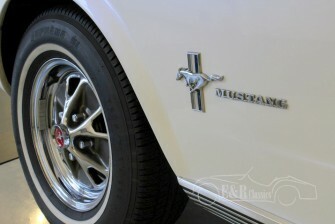 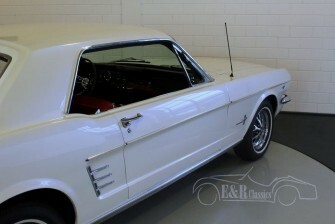 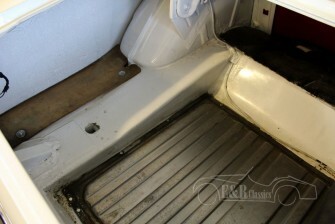 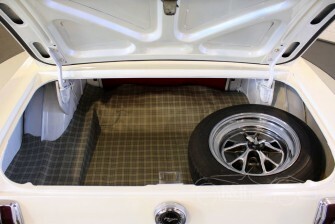 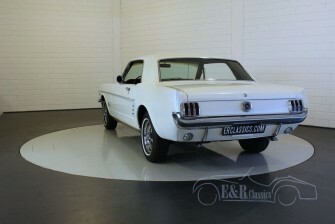 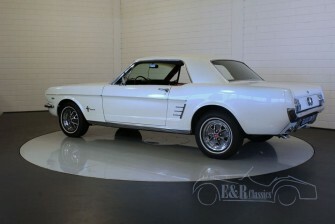 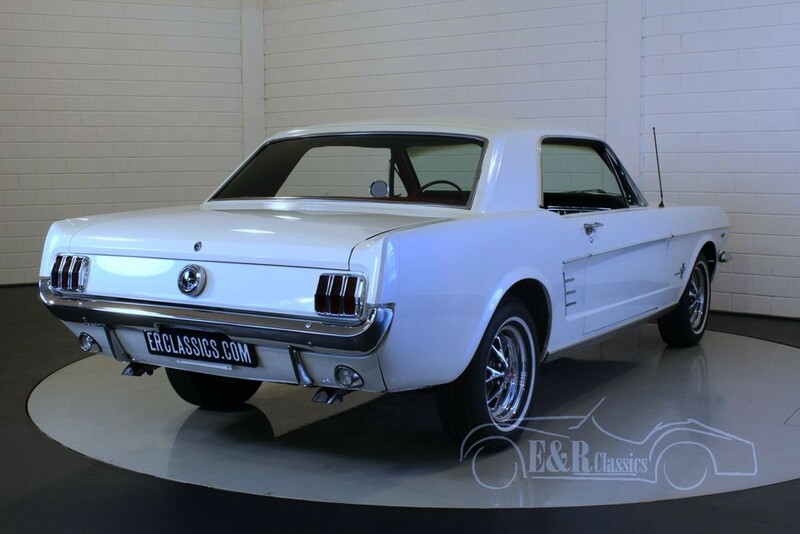 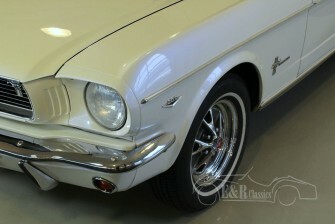 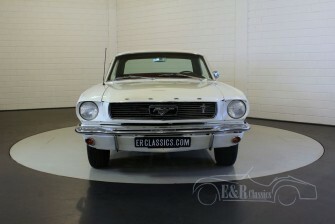 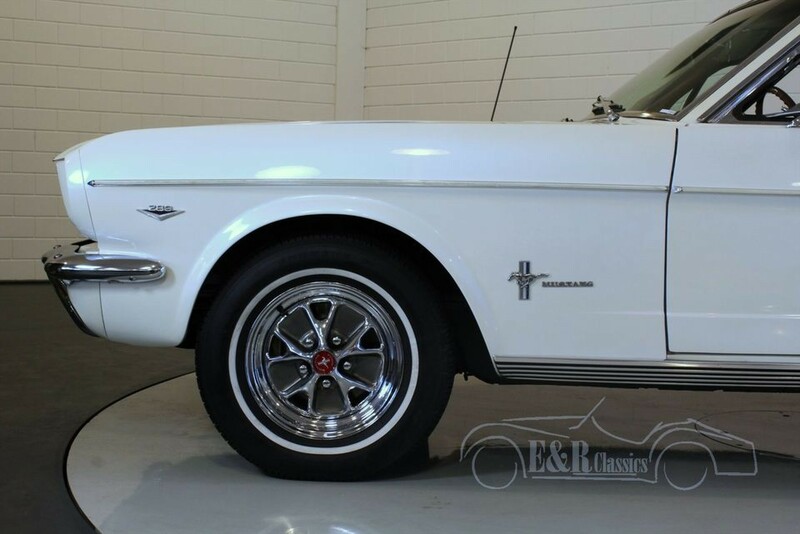 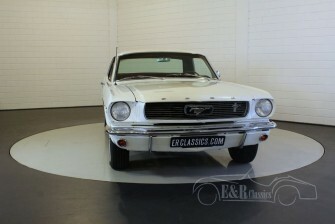 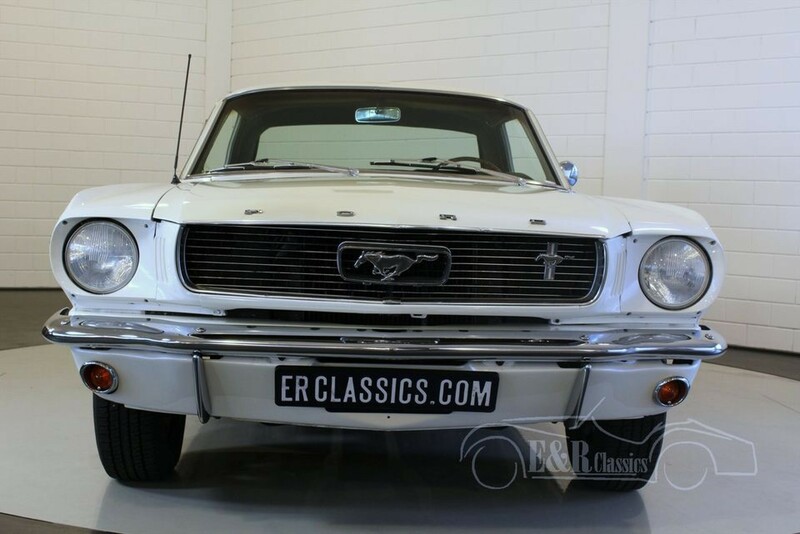 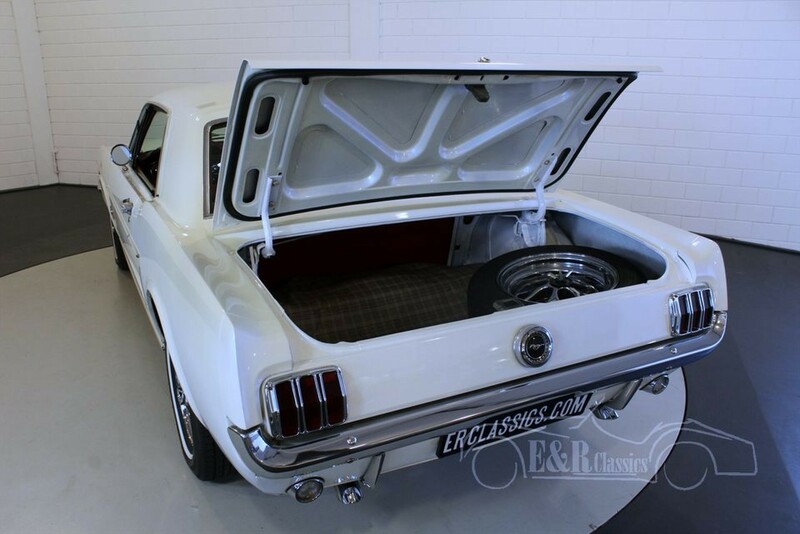 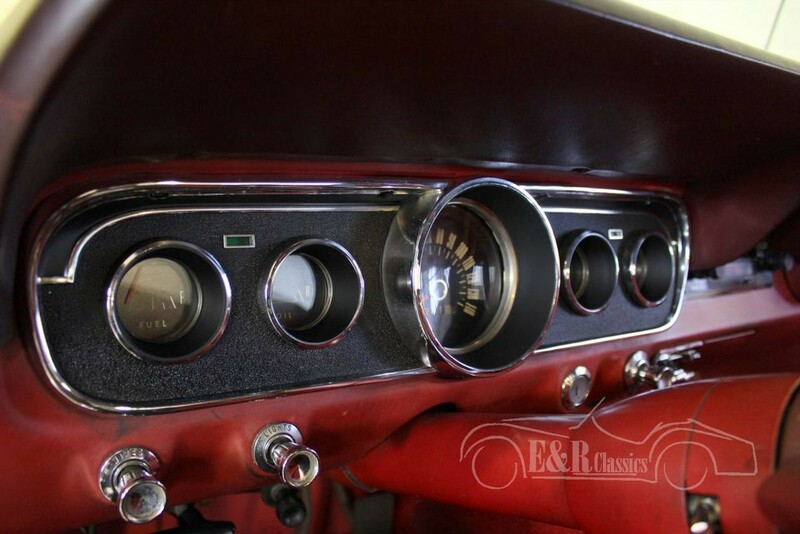 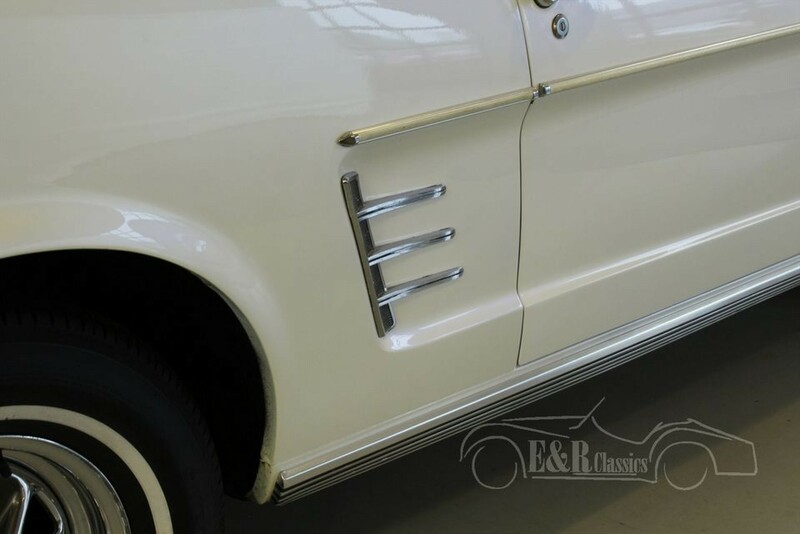 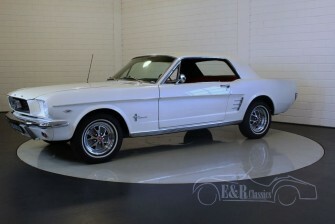 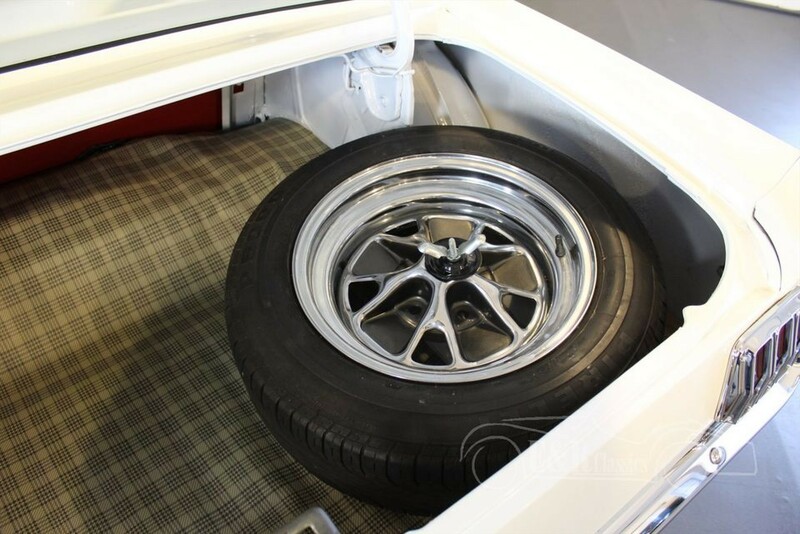 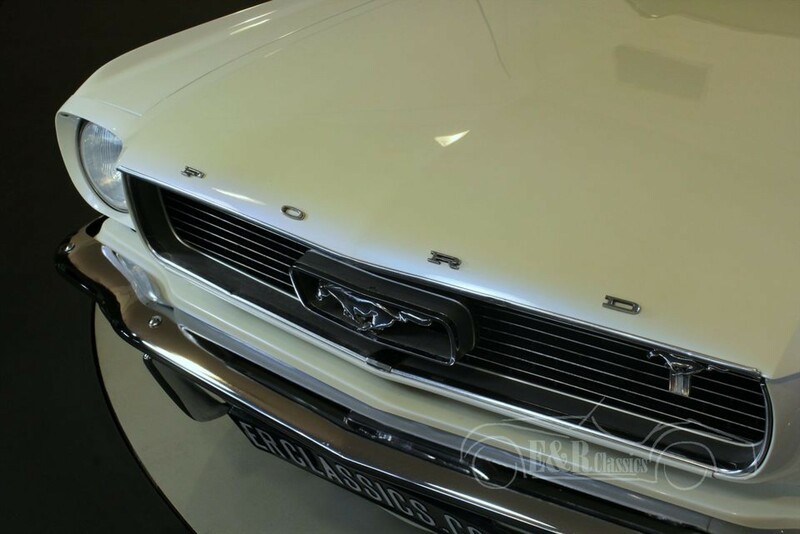 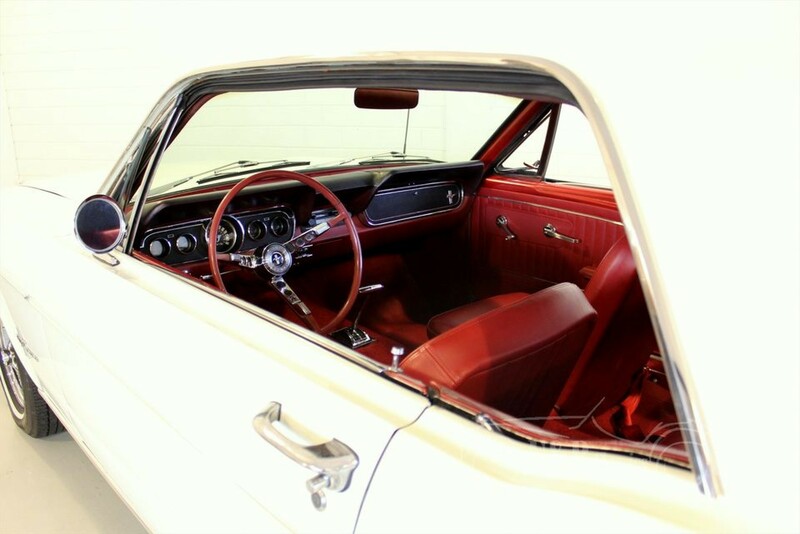 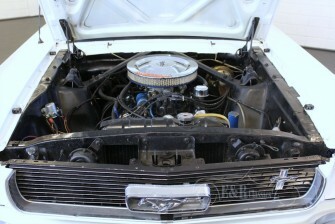 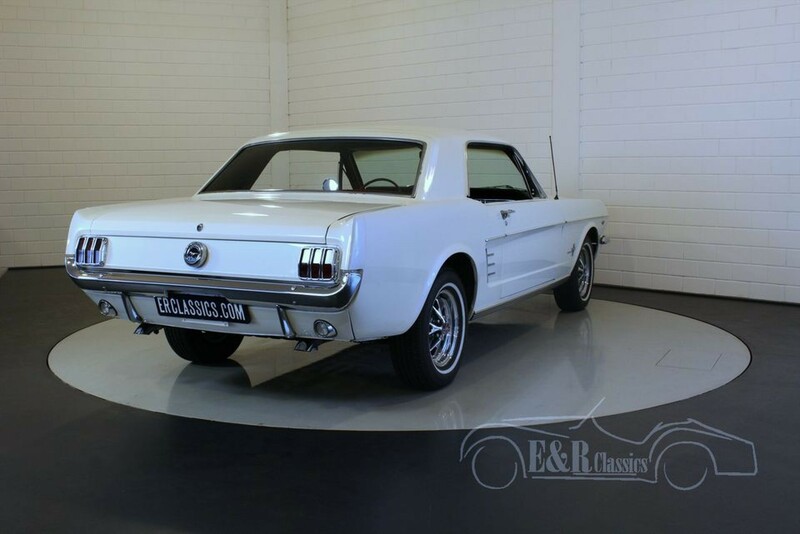 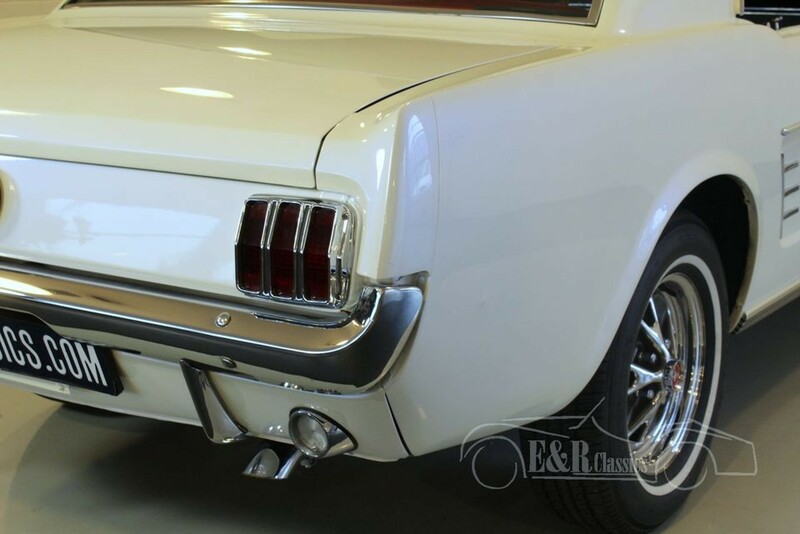 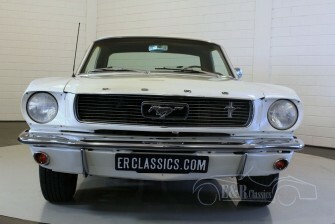 The original V8, 289 CUI coupe has a beautiful mother of pearl white paint and original Ford wheels. 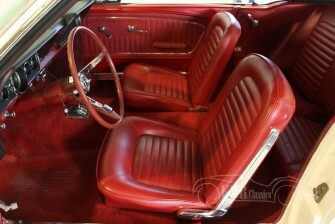 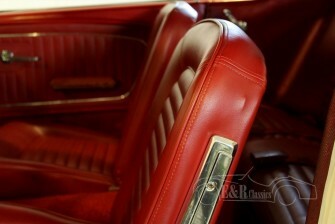 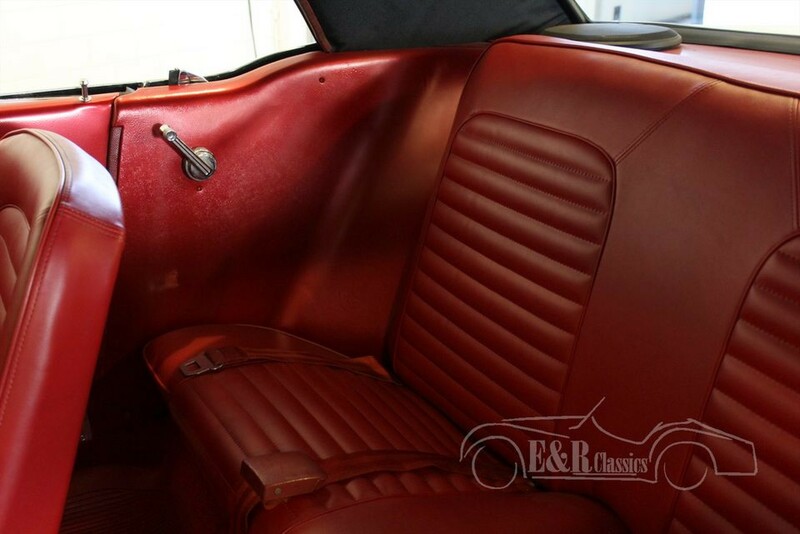 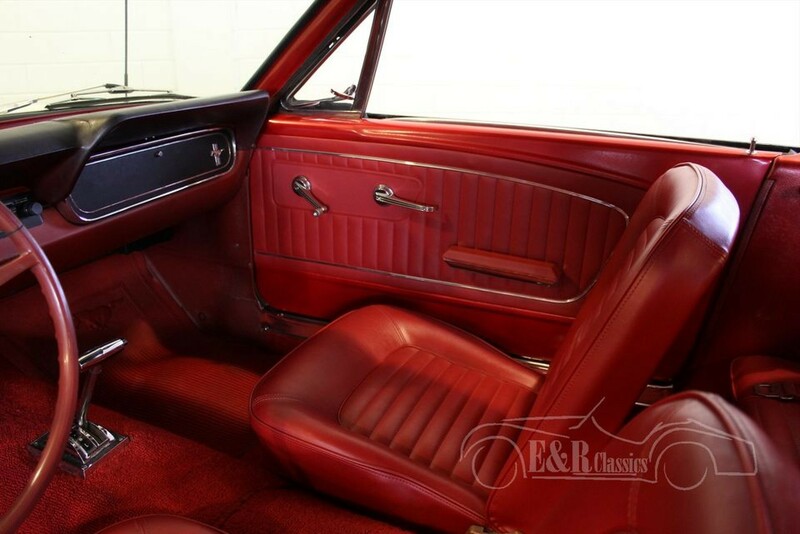 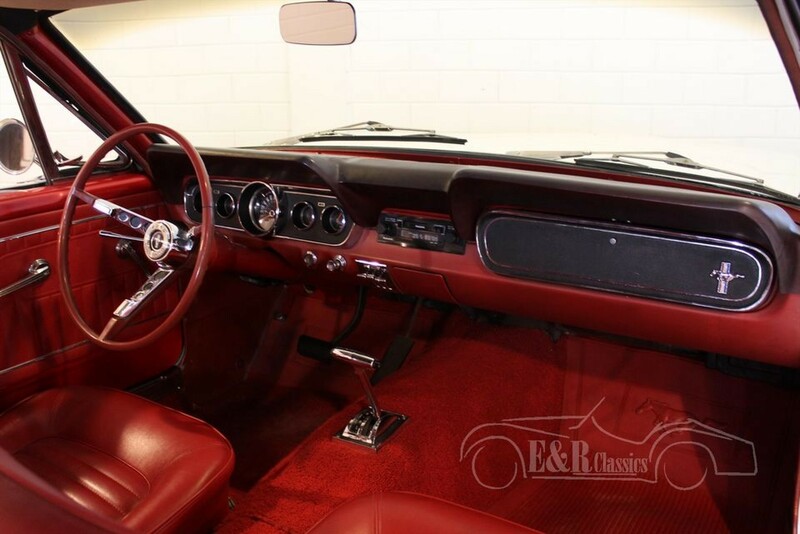 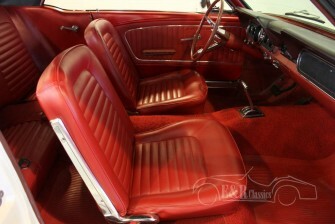 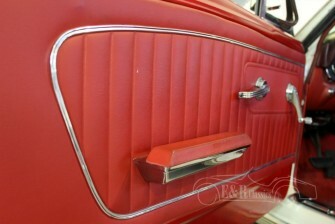 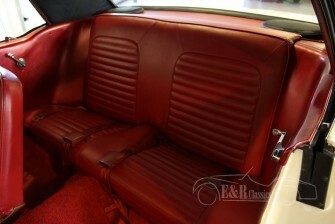 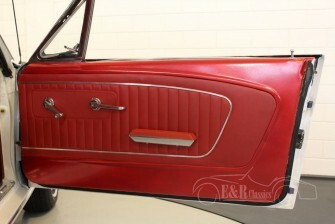 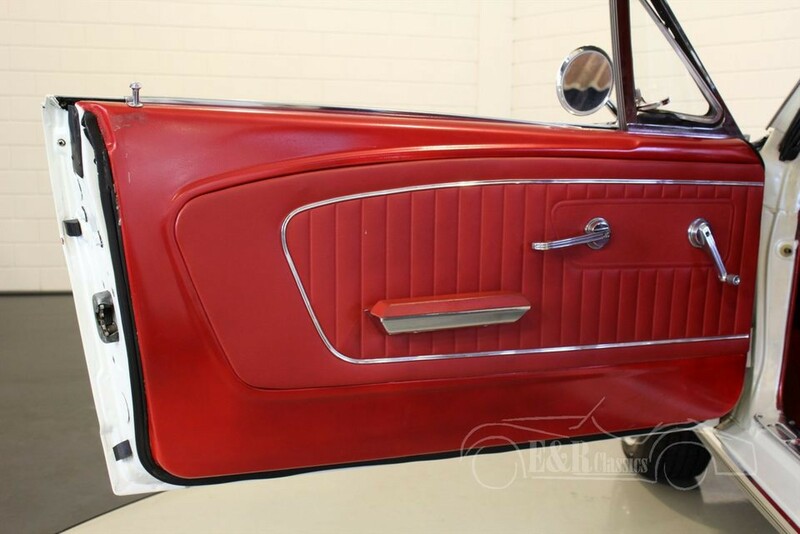 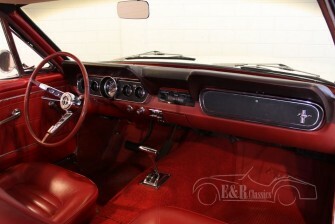 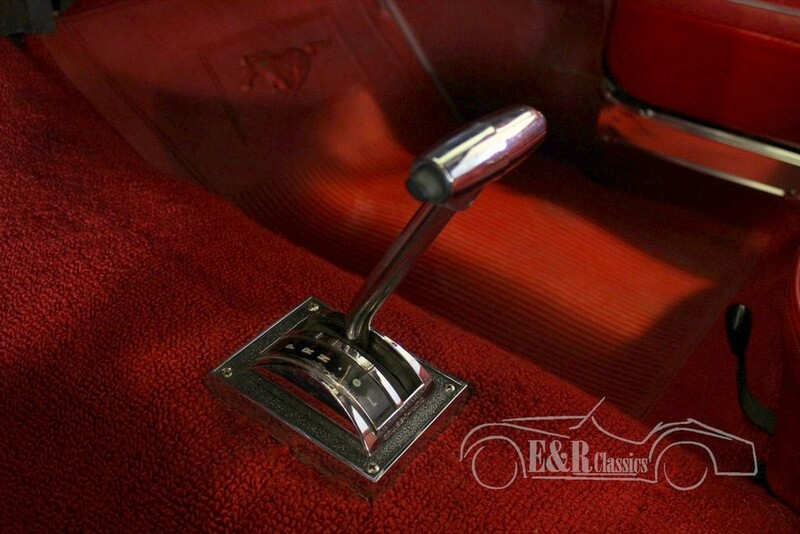 The interior has red leatherette and several chromeparts. 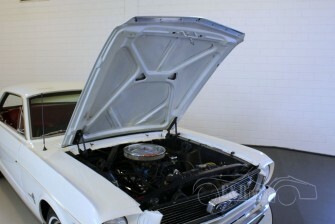 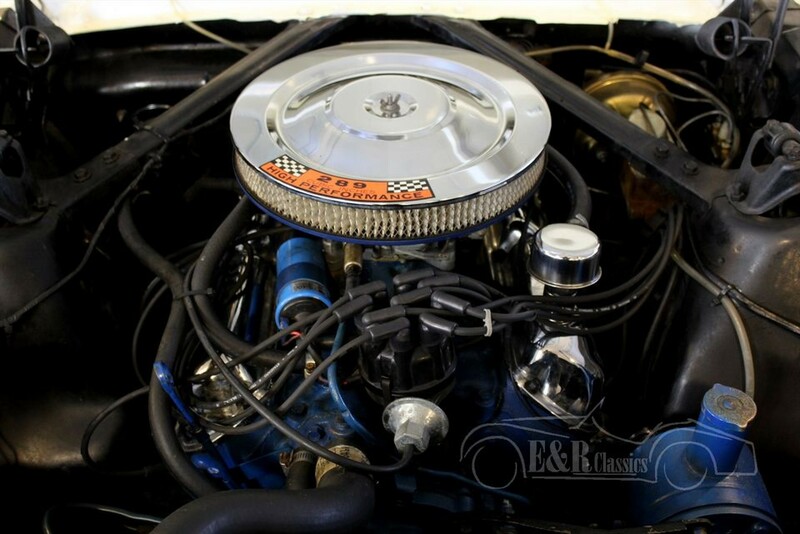 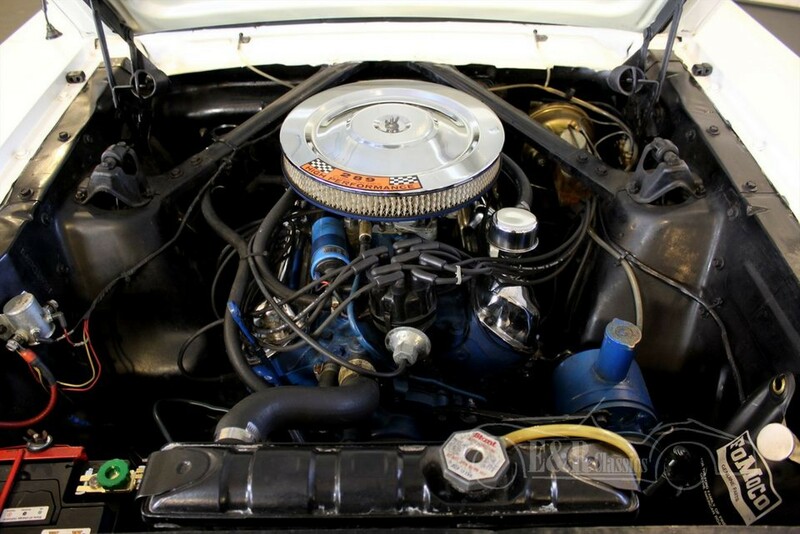 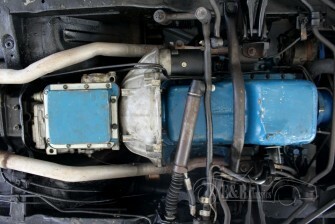 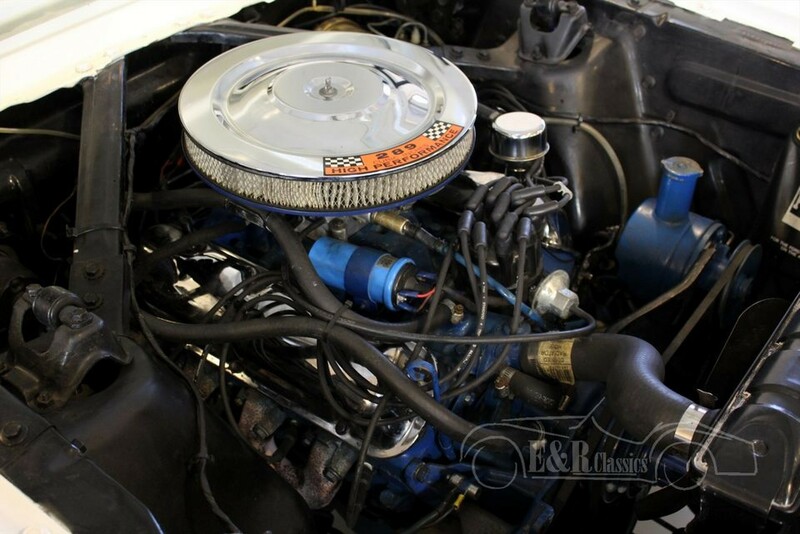 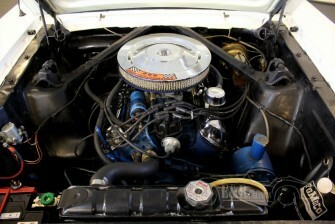 This Ford has the V8, 200 HP engine with automatic transmission. 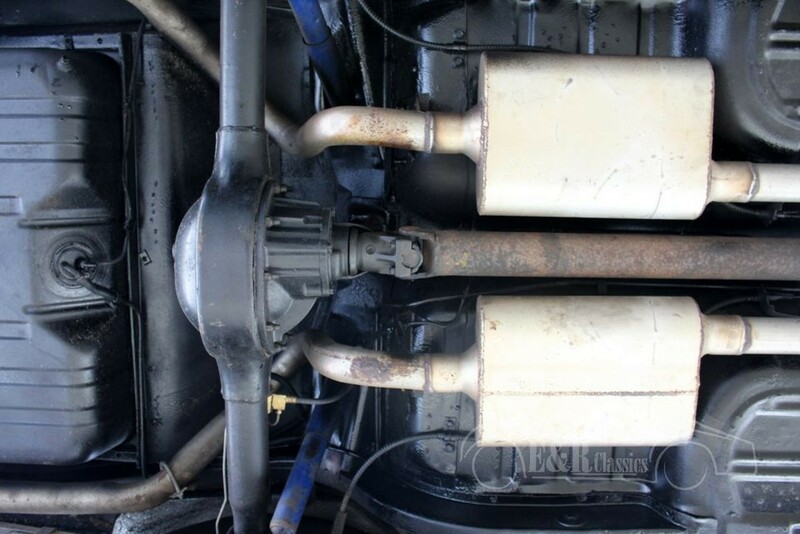 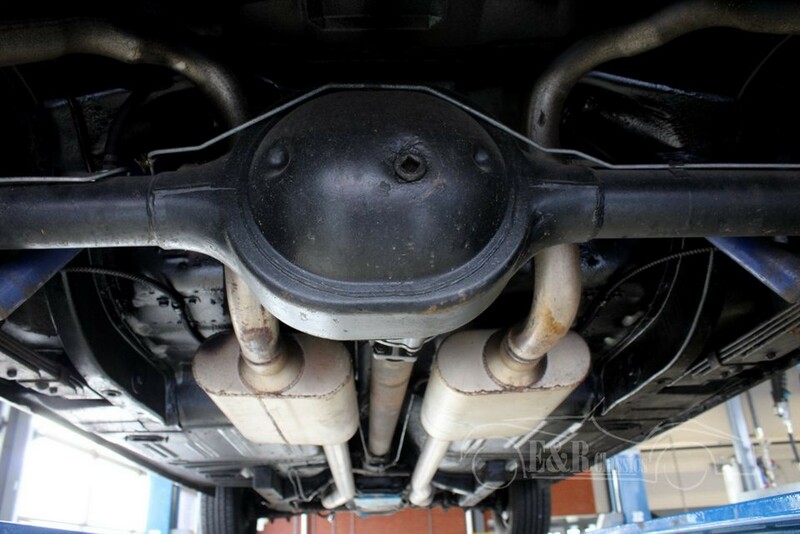 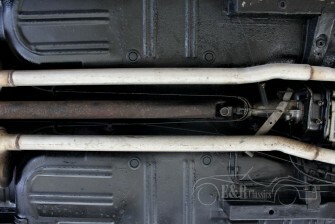 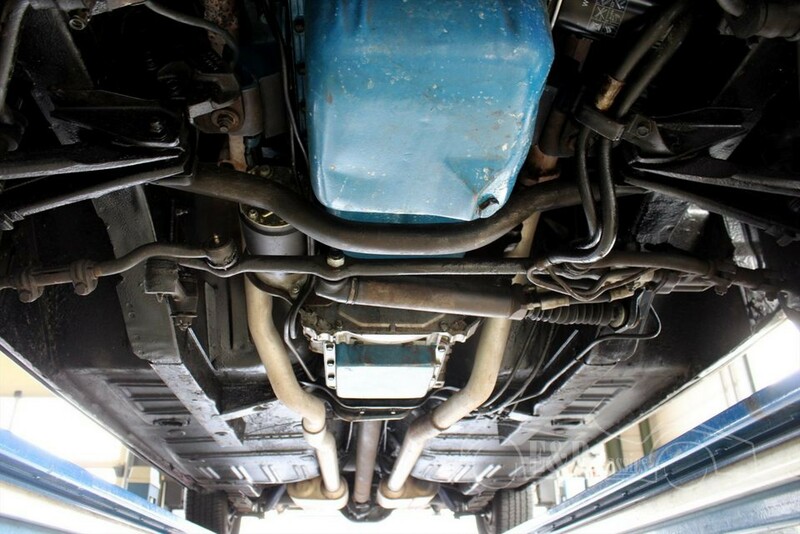 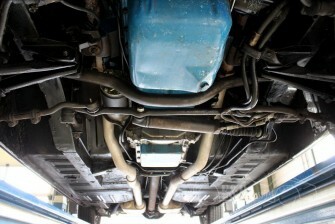 Double exhaust for a super Sound. 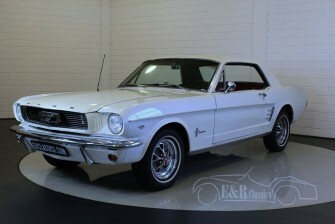 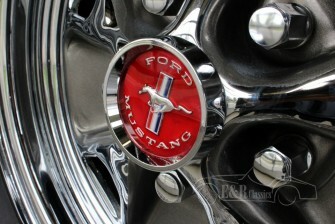 So a very beautiful and very well driving Ford Mustang.